Emily Dickinson was born on 10 December 1830 in Amherst which was situated in the Connecticut River Valley. 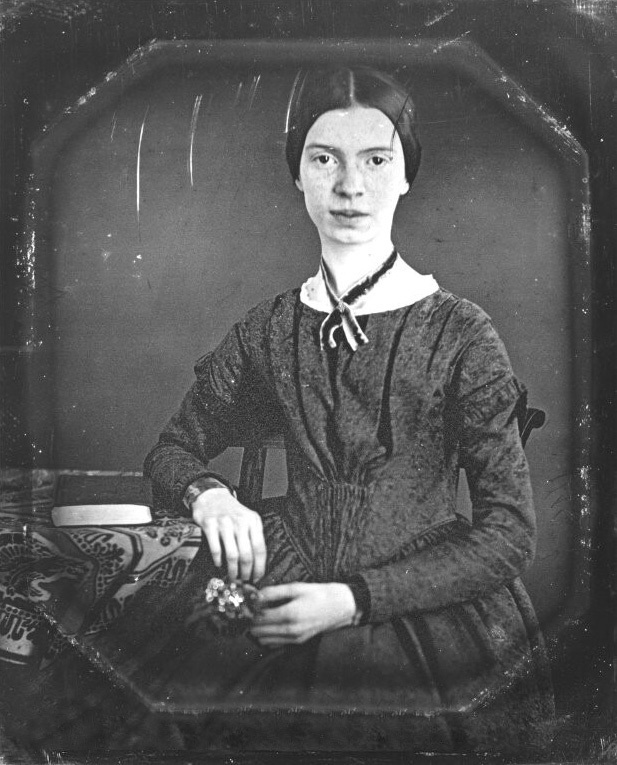 During her lifetime, Emily Dickinson published just seven poems, and even those appeared anonymously. After her death, her younger sister discovered the mine of hidden poems which Emily had been writing. She got the poems published and as the last member of her family, she lived long enough to see the poems achieve popularity. Finally, Thomas H. Johnson published The Poems of Emily Dickinson in three volumes. These volumes contained 1775 of Emily's known poems. Emily told a friend of hers. "If fame belonged to me, I could not escape her", she has not escaped fame. Even in the 1890's, Emily became a popular poet and achieved a wider and more lasting reputation in the 1920's. 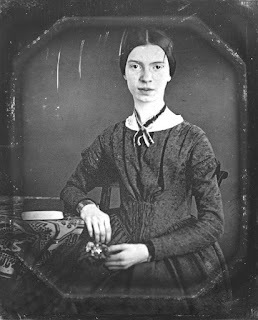 Emily Dickinson's poem 'I heard a Fly Buzz — when I died' is simple and lucid, it reflects the morbidity of a death scene. In the first stanza, the poetess tells about the buzz of a fly which interrupts -- rather ludicrously --the approach of death. She describes then the atmosphere of the sick room: the stillness in the room is like the deceptively calm centre of a storm which is deceptively calm. The second stanza describes the dry-eyed onlookers as they come closer in the room in order to witness the last dying moments. In line 7 the final death-struggle is described as an 'onset' when the king comes in with the treasures of paradise. The third and fourth stanzas contain the climax. The final acts of a dying person are described with detachment. The pun in 'signed' and assignable' illustrates death's supreme power and the worthlessness of the documents, empty phrases and a corrupting body which one left behind. When the soul waits for death, the buzz of a fly interrupts the grand moment. In 'I heard a Fly Buzz — when I died', a fly come at the wrong time — like many things in life — as an irritant which distracts the attention of the people from the magnificent approach of death. But the fly signals the presence of death. The fly comes between the light and the dying person, blocking the physical sight, but, at the same time, allows the dying person to see the radiance of immortality. Further, in the third stanza, the poetess talks about distributing her keepsakes' — the token of her life, The only heavenly music or a semblance of it was the 'blue — uncertain stumbling buzz'. In this stanza, the mystery is evoked by a single word 'blue'. The presence of a buzzing fly, the distribution of 'keepsakes' and the attempts of a soul to prolong life suggest that the whole poem satirises the traditional view of death as a peaceful re ease from life's presences and a glorious entrance into immortality.